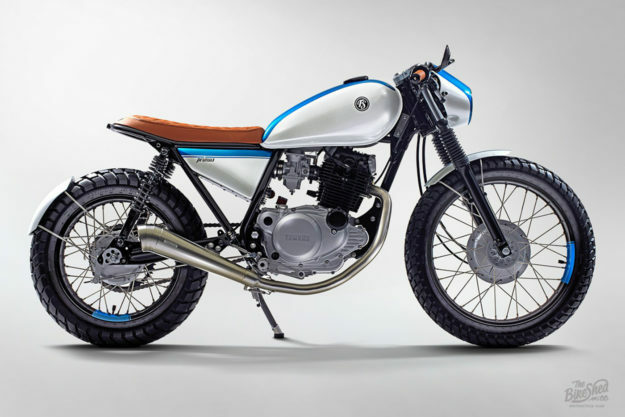 Yamaha SR250 by Free Spirit Motorcycles Did you think the images of this incredibly clean SR250 were renderings? I certainly did. It’s just so impeccably put together (and shot) that you doubt human hands have ever touched it. 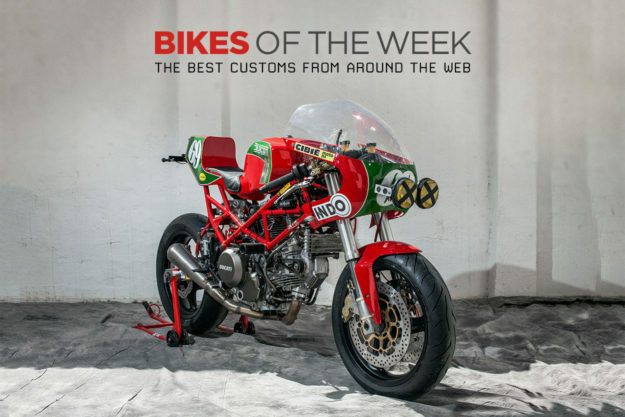 But they have, and they were the hands of Slavo Danko and his son, Matus, from Slovakia’s Free Spirit Motorcycles. The 1981 SR250 that found its way onto Slavo’s bench was in well-kept shape. But regardless, the bike was completely stripped. The factory subframe has been binned and a new hooped unit installed, with an LED brake/taillight integrated rear and center. The saddle sitting atop that tubing is crafted from a piece of vintage hide that Slavo stitched together using an old industrial sewing machine, and the grips and gorgeous key fob come from the same heifer. 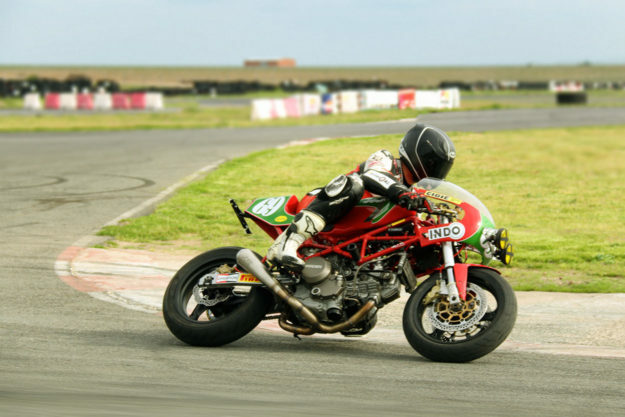 Ducati Monster by XTR Pepo Pepo Rosell earned his fame (under the Radical Ducati banner) with a plethora of take-no-prisoners, performance focused custom Ducatis. Since moving on to start XTR Pepo he’s shifted his gaze to include non-Italian donors—and they’ve been pretty damned sweet, too. But with his latest creation ‘Ulster,’ Rosell reminds us why is considered a master of the Duc. 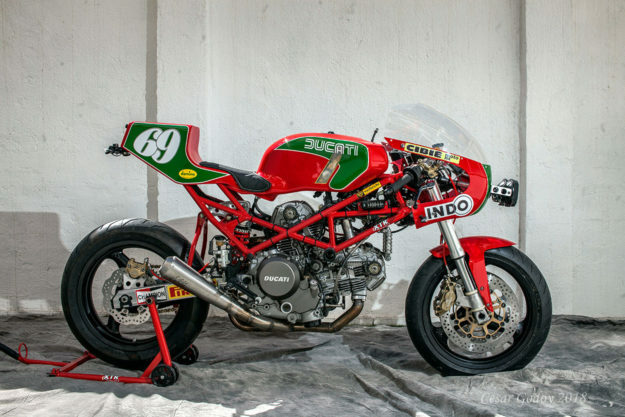 This endurance racer extraordinaire is based on a 2001 Monster 750. The stock trellis frame needed some hot work to make components fit and deliver an attack-mode stance. 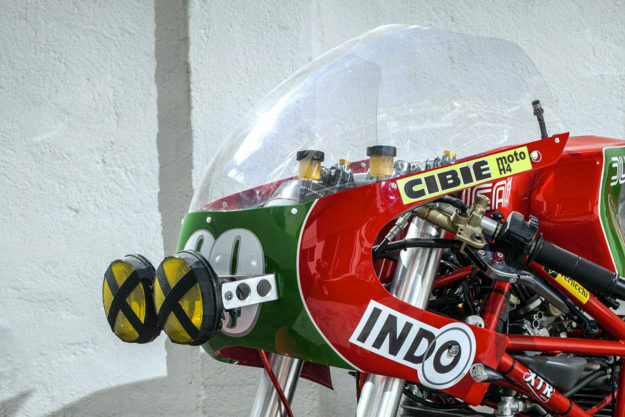 The new tank comes courtesy of a retired 749R racer that gives the L-Twin plenty of room to keep cool heads, and Pepo’s also built a tidy little tail that echoes the tank’s lines. The front fairing is a modified unit that used to call a Yamaha TZ250 home, and again, lines up perfectly for Ulster. 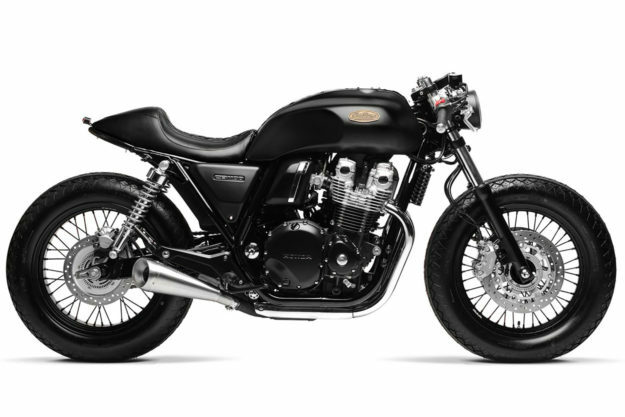 Honda CB1100 by South Garage With the much anticipated CB1000R ‘Neo Café’ set to hit dealer floors in the coming months, it’s easy to forget that Honda has another modern classic mostly ignored by riders—the CB1100. So look at what a beauty it can become, when worked on by the right hands. 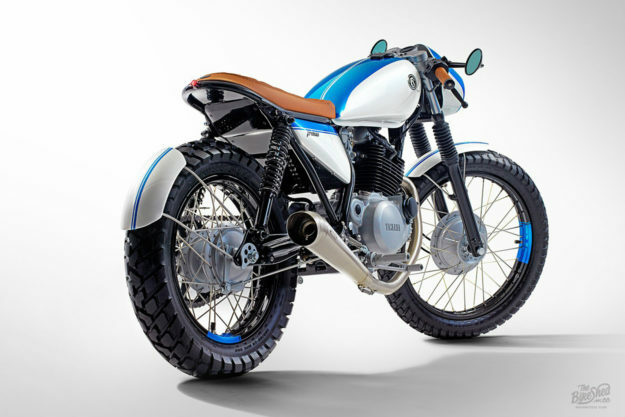 Called ‘Hedo’ as a truncated hat-tip to the pursuit of pleasure, this CB is the latest custom to roll out of Milan’s South Garage Motor Co. It’s based on a 2016 CB1100 and was designed for Honda, to show the potential of their aging standard. The first order of business was a simple tweaking of the rear subframe. The result is a shortened tail that substitutes minimalist lighting for the bulbous OE lenses, and a tightly upholstered, leather, humped seat. Up front, the big and comfy bars have been swapped for clip-ons, and the headlight has shrunk accordingly. 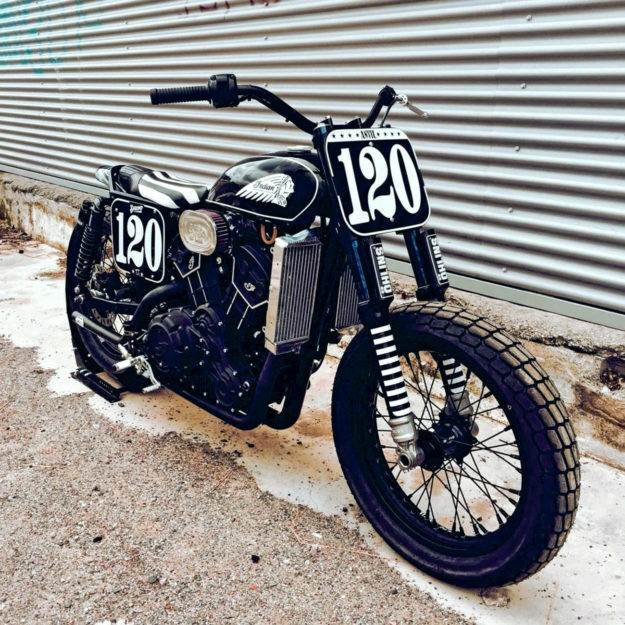 Indian Scout Sixty by Anvil Motociclette With the announcement that Indian has (finally, thankfully) greenlit the FTR1200 for production, a good chunk of us enthusiasts have started counting and hoarding our shekels. But just a few hours before Indian’s top brass made dreams come true, Anvil Motociclette were pulling the wraps off an Indian tracker of their own, based on the smaller Scout Sixty. 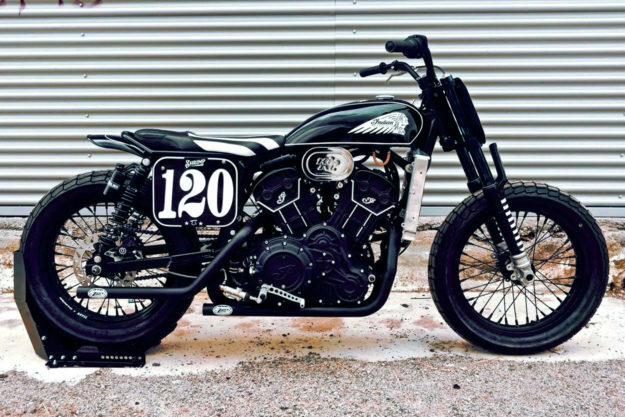 Dubbed ‘The Shrimp,’ this completely custom flat tracker was built by Marco and Alessandro to pay homage to racing legend Albert ‘Shrimp’ Burns. With over 300 man-hours going into the build, the hands of Anvil and their cohorts have touched almost everything. The new frame has a beefy backbone, with a single downtube to add lightness and aid in setting up the new geometry. The triple trees are a custom unit, carved from chunks of billet, and feature integrated risers. Out back, the swingarm is mounted to a custom bracket and Öhlins tackles the suspension at both ends. The new subframe is a spartan unit, but has been tweaked to house the battery and other e-essentials. 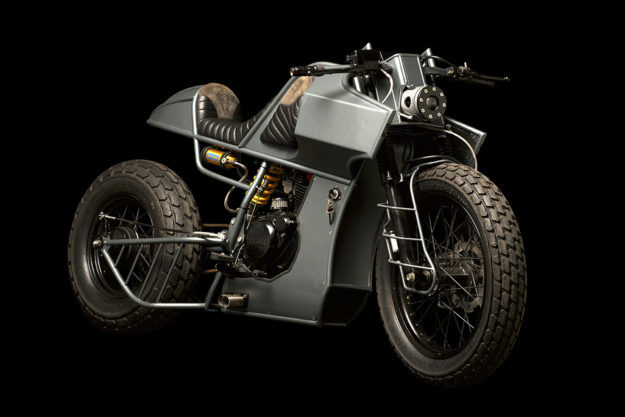 Yamaha TW125 by Atelier Medusa Post-apocalyptic builds aren’t everyone’s cuppa. 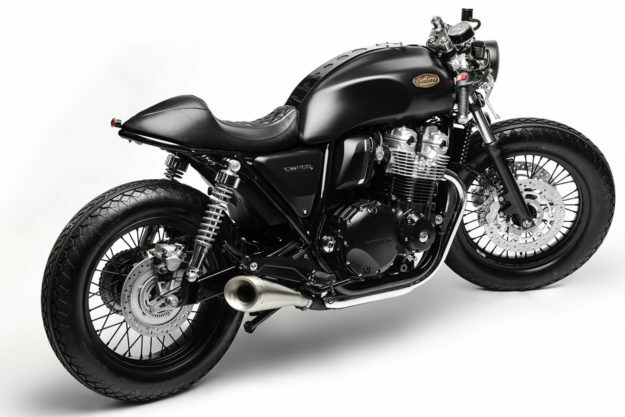 But if you’re a fan of the style, whether it’s in the movies or on a bike, you might be intrigued by this dark and sinister TW125. 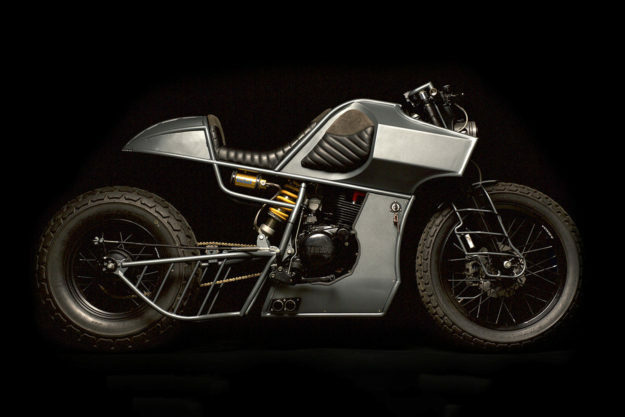 Helmed by two French engineering students with a deep fascination for the end-times, ‘Tank’ is Atelier Medusa’s first completely handcrafted build. 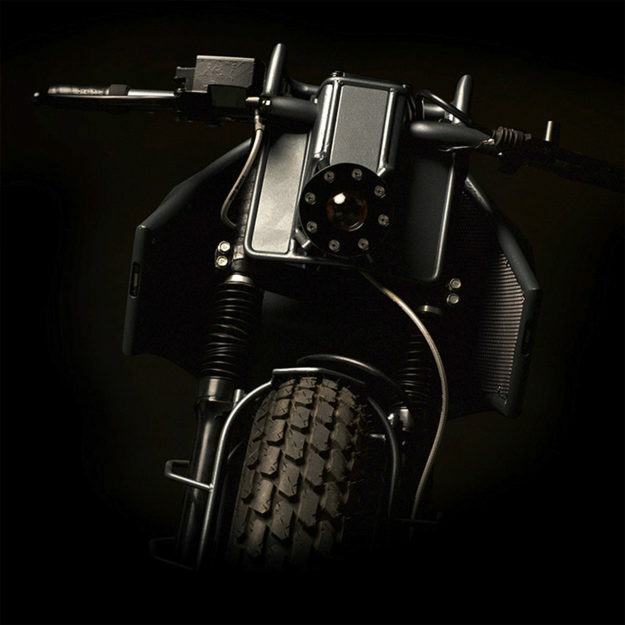 Some of the standout features are the El Solitario-inspired wireframe work on the forks and swingarm, and the use of a tractor’s spent piston as the new headlight.